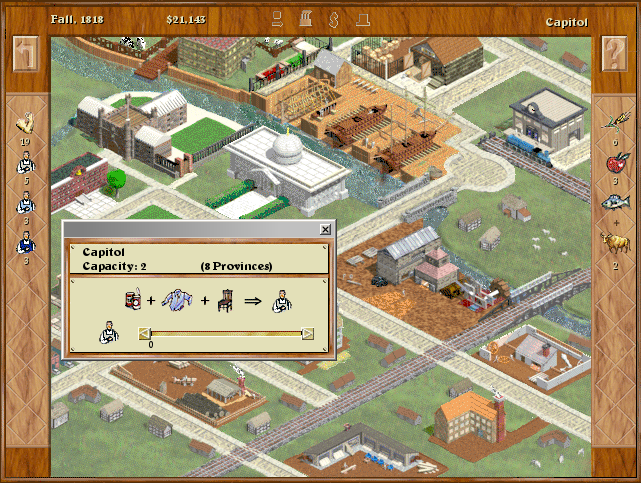 Frog City Software, Inc. was a game development studio based in San Francisco (USA), founded in 1995 by the brothers Bill Spieth and Ted Spieth, and by Rachel Bernstein. 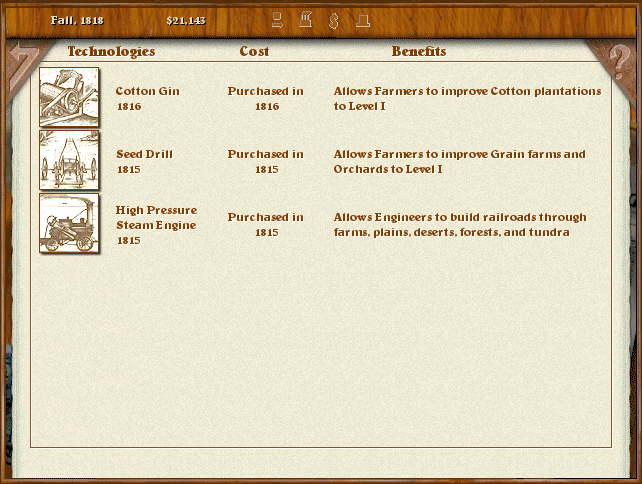 They mostly developed games for Strategic Simulations, Inc.
A complex strategy sim about the 19th century in Europe. 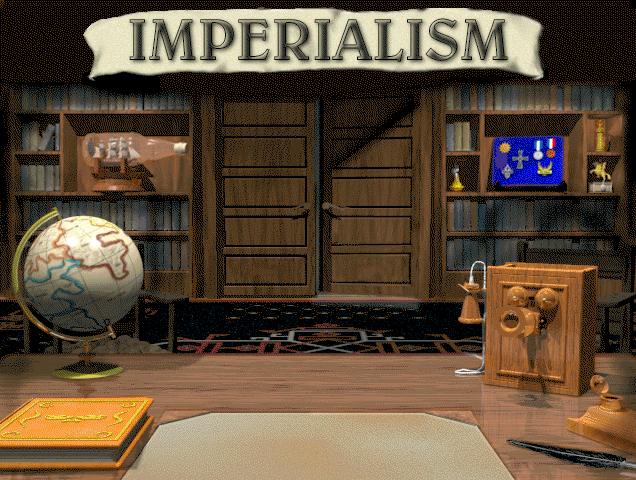 The game is in-depth and contains many realistic aspects of empire building. The biggest flaw in my opinion is that the game can be won by a vote. One of my favorite games of all time. 2/28/2015 8:00:00 PM - trav I downloaded and it runs, but i can't attack other countries. After I end turn it just skips the battle screen. 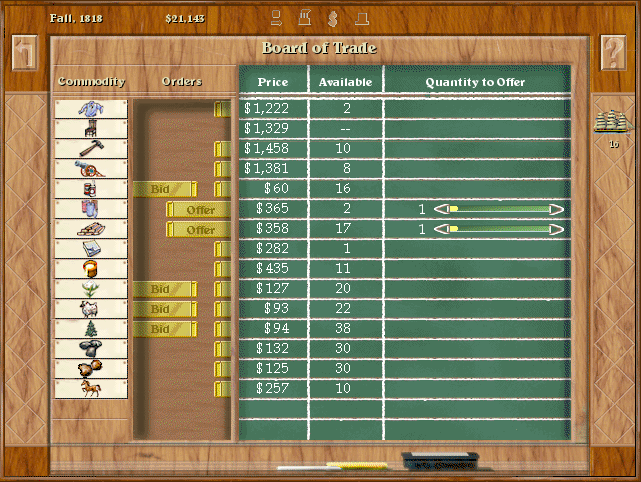 12/2/2014 9:29:00 PM - 4wert Run this on ms virtual pc with win98. 9/17/2014 3:31:00 PM - Sven TO install this game, just click the right b and select run as win 95 or something and it'll work ! 9/15/2014 2:11:00 PM - Qumojo Anyone to play this game online with me? 4/27/2014 10:31:00 AM - Dave As i recall you don't need any emulator. I.ve plaed in this game on Win XP few years back. Only problem was goin to a Large map to guide ships, game crashes. But not always. So I've just saved game before. 12/10/2013 9:08:00 PM - OttR Like everyone else I'm having problems with crashes. Running it in DOS-box doesn't work. It says "this program cannot be run in DOS mode.". Any suggestions? 10/13/2013 6:28:00 PM - Sun I love this game. thanks a lot! 9/16/2013 9:27:00 PM - Yossi Great game! 7/8/2013 7:06:00 AM - Fel-X nice site, nice game. 4/5/2013 9:18:00 PM - John Just downloaded game. Everything worked perfectly up to the newspaper at the start of the game. When I tried to proceed to the game, Windows said that Data Execution Prevention had to close the program. Is there a DEP compatible version? After Removing the file from DEP protection the same thing occurs. I am on Windows Vista. Any ideas? Also, is there any way to play it above minimum resolution? 3/30/2013 1:04:00 PM - King Best Old Game Ever !!! Try It ! 2/22/2013 2:53:00 PM - onur To play this game without any error and with full original game features, you may want to check it out on gog.com. it's $6 and worth it. 8/24/2012 8:00:00 PM - Jason I downloaded the game fine and played a little but there was an error and the game shutdown, so now when i start the game there are no words only the start up screen. 1/18/2012 5:25:00 AM - Robin Patterson When I clicked the Download button I saw this: The package you're about to download is zipped and contains only game files. To play the game you have to set up an emulator (like DOSBOX) or have MS-DOS operating system. To play the game on Windows, please choose option 'Play Now' - our game client will run the game for you There is no "Play now" in sight. But I have your emulator working OK for other games. Please explain how the above message relates to the 11/1/2011 explanation and what I should do. 11/1/2011 9:28:00 AM - FreeGameEmpire This is a Windows game (marked with a windows icon in the description above). Windows games cannot be run in a DOS emulator, you can just download them and run on your own. 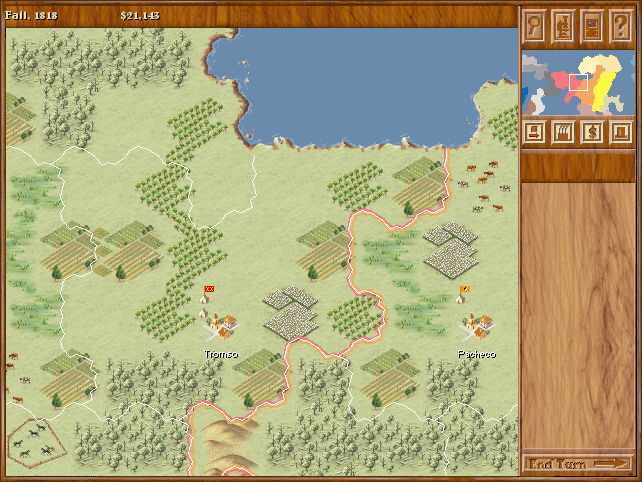 11/1/2011 2:32:00 AM - FreeGameEmpireFan Is FGE planning on supporting "Play Now" for this in the future? 10/28/2011 8:33:00 AM - ghostface it has no play now button!!! !